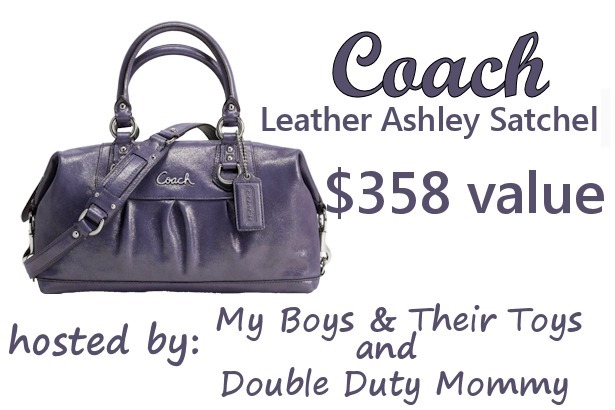 Check out this Coach Leather Ashley Satchel Giveaway! One of my guilty pleasures is buying Coach handbags. I L – O – V – E them! Which is why I am so happy to be able to share this awesome giveaway for a beautiful Leather Ashley Satchel by Coach! Welcome to the awesome July Coach Handbag Giveaway, being hosted by two wonderful blogging friends of mine: My Boys and Their Toys and Double Duty Mommy! Now enter for the chance to win this Coach Ashley Leather Satchel, which is valued at $358! Disclosure: All opinions are my own and they might differ from yours. This prize was sponsored by these participating blogs. « Disney Picture’s Oz The Great and Powerful Trailer Debuts at Comic-Con! This is sooo pretty! I don’t have a purple purse! MUST FILL THIS GAP!!!! I would love to own a coach purse. Never had one! I would love to have this purse…I cant afford to even look at coach bags! lol It’s beautiful! I love Coach too but they are very pricey! Ooh! Love this purse! Gorgeous!! So when can I expect this purse in the mail because I am going to win it after I use my mind melding contest winning superpowers. Sorry if this is a dup post, I don’t see my original. I would love to win for 2 reasons: #1,I LOVE purple & #2, I’m probably the only woman who doesn’t own even 1 Coach purse! I love Coach purses and my purse is ten years old so this would be awesome. So fun to have a purple purse like this! I only have one coach item and it’s a wristlet. This one would be amazing! I would LOOOOOVE to win this coach b/c my daughter decorated my one and only Coach bag with Sharpies. This made me very, very sad. If I won a new one, I could let her back out of her room. definitely needing a new purse! Oh my! I’d love to own this sassy coach bag because mama needs a nice purse and is bad at spending that kind of money on herself! 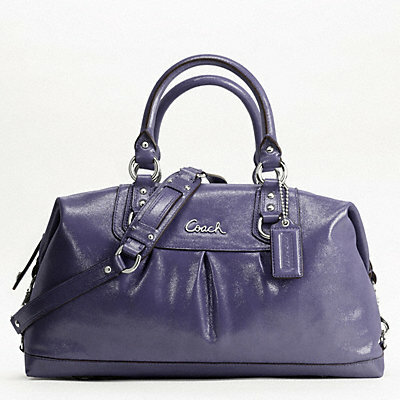 I love Coach and I love purple! I definitely want to win this! 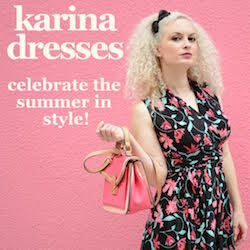 I’d love to win because it’s a beautiful bag.